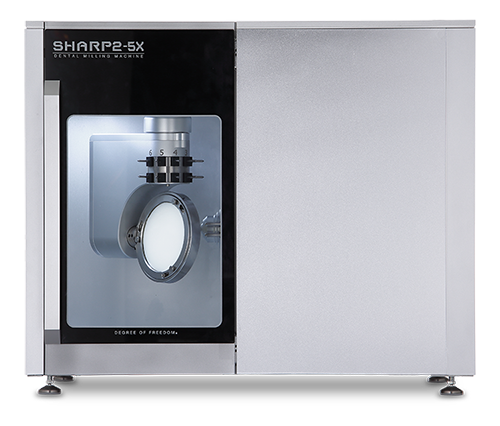 The Sharp2-5X is ideal for milling zirconia, wax and PMMA with a precision and a maximum speed of 3,600mm/min and maximum spindle speed of 60,000rpm and a concentricity better than 2µm. A coolant level sensor monitors coolant levels to avoid breakage of tools and materials caused by a decrease of coolant circulation. Automatic calibration will assist you with routine maintenance by aligning and adjusting tool settings to optimize the milling results. Three additional holders are available for zirconia, titanium, and glass ceramic.